Benefits – Electric power is ideal for most indoor jobs. Many models are available in widths of less than 34 inches so they can fit through a standard doorway. 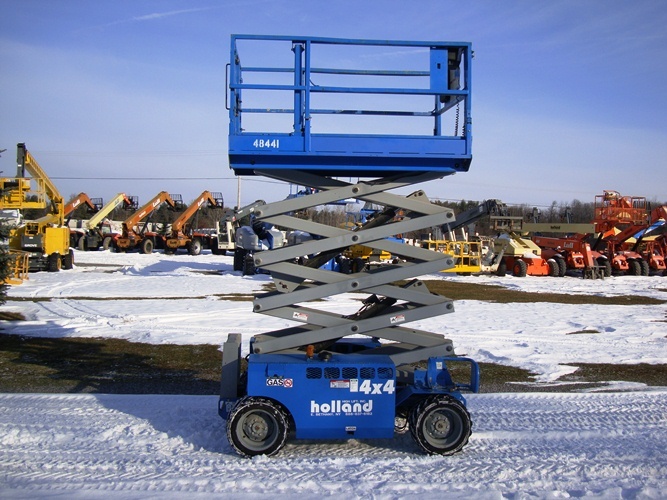 Generally indoor scissor lifts have a tight turning radius to better maneuver in tight buildings. 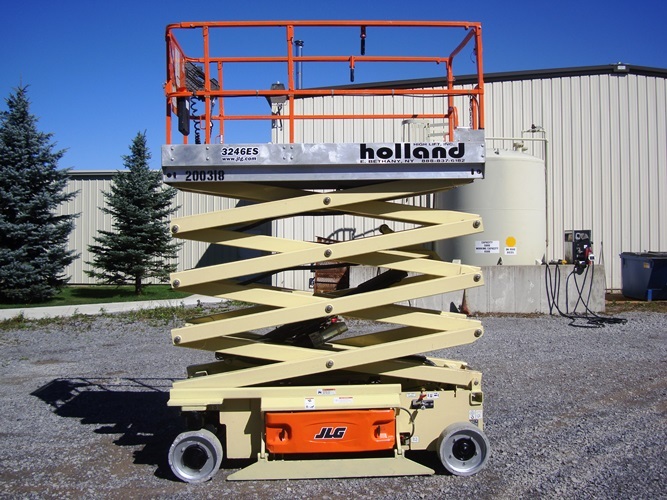 Liabilities – Indoor scissor lifts are generally only useful on blacktop, concrete, or other smooth flat surface. Most have smooth tires and very little ground clearance. Benefits – Most rough terrain or “RT” scissors navigate a job site well due to their rather large tires and relatively low weights. They also have large deck sizes and almost all are equipped with four wheel drive. Capacities on RT scissors are relatively high at 1000-1750 pounds. Liabilities – Large platform size is at times too big for certain work sites. Only available in gasoline/propane and diesel power and are therefore not possible to use in very enclosed settings.